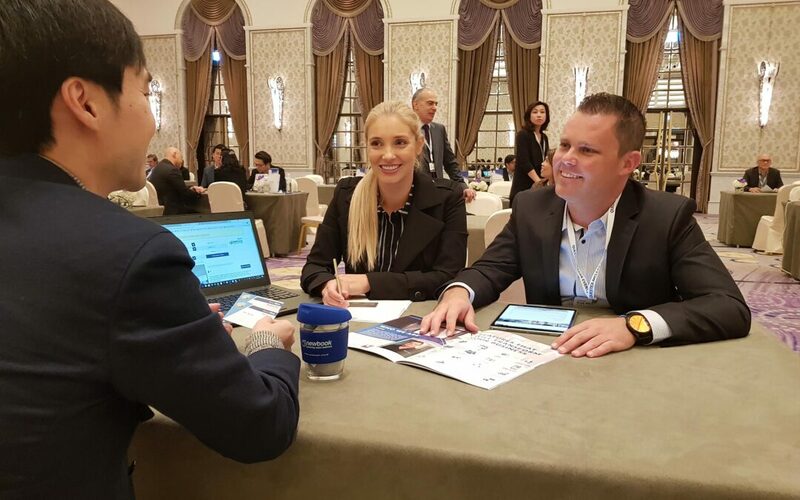 Founder and CEO Brad Illich and partner Shaye met with senior executives of leading hotel chains last week to learn more about their operations and demonstrate how NewBook’s central reservation system can grow direct reservations and reduce commissions. We are truly humbled at the response we’ve had about NewBook’s universal reservation engine. Having the opportunity to spend time with high profile hoteliers, such as Shangri-La International Hotel Management and Wyndham Vacation Resorts Asia Pacific was highly insightful. It was exciting to learn about where they’re looking to expand and how NewBook can be a part of their journey. Brad has big plans for the online reservation engine this year and a range of recent developments are opening up a world of opportunity for hoteliers and other accommodation providers. Guests can now book accommodation, appointments, activities, reservation add-ons, facility hire and more in a few simple steps, offering a streamlined and professional experience. Looking for a free reservation engine on your website? We now offer NewBook Free Edition, which features a select range of tools designed to help you take accommodation reservations on your website. To sign up for free, visit https://free.newbook.cloud.